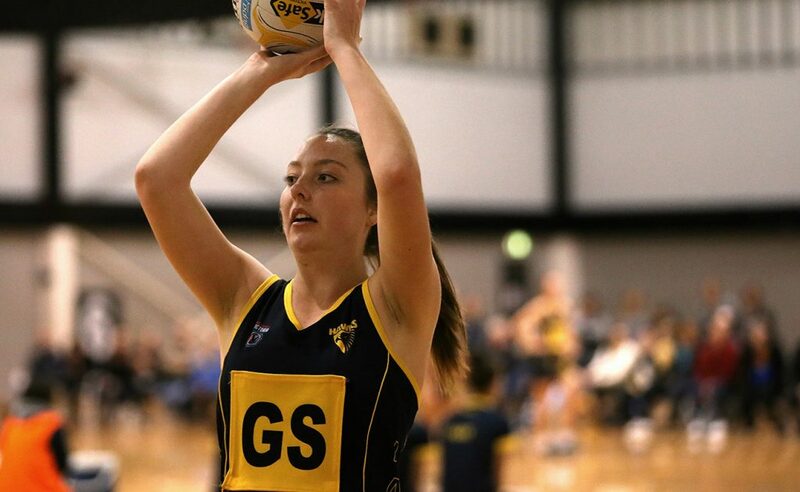 A four-year finals drought will finally end on Wednesday night as Hawks Netball’s Championship and Division 1 teams take to the court for the Victorian Netball League semi-finals. With the club having last appeared in finals in 2014, when the 19/U team took home a premiership, success has been elusive in recent years – not since 2011 has the Championship team reached the postseason, while Division 1 has waited since 2013 to make an appearance. But having rebranded with major sponsor Hawthorn Football Club in 2018, the Hawks are on the rise and now face knockout semi-final showdowns at the State Netball Hockey Centre. Here’s everything you need to know ahead of two huge games on Wednesday evening. The Hawks’ Championship division team will be looking to rediscover its early-season form when it takes on perennial finalists City West Falcons. The Hawks overcame City West 61-50 in Round 8 in the midst of an 11-match winning streak, on their way to shoring up a finals berth, but have endured a tough run since, dropping their last four games of the season to fall out of the top two and finish in fourth spot. Now they face a rejuvenated Falcons, who toppled the Hawks 46-63 in Round 16 just three weeks ago after welcoming back a raft of Suncorp Super Netball training partners into their squad. Hawks goal shooting lynchpin Kim Commane – who shot 37 goals from 44 attempts the first time the two teams met – was missing from the Hawks’ line-up for that game, after being called into the Melbourne Vixens for their do-or-die final-round clash against the Sunshine Coast Lightning. The Hawks will have their work cut out stopping Falcons giant Jane Cook, as well as limiting the influence of goal defence and Vixens training partner Jacqui Newton. But with experienced heads like Lil O’Sullivan through the midcourt and Clare Pettyfor in defence, as well as the lightning quick Tayla Kearns helping to deliver the ball to Commane and shooting partners Tayla Shannon and Nat Billings, it’s a contest the Hawks are confident they can win. Hawks Championship coach Jacqui Hansen said they know their best netball is good enough to knock off Falcons and any of the other top four sides, having beaten all three of them throughout the season. “To be honest it’s been a lot of silly errors that have cost us in the last few weeks,” Hansen said. The winner of the Hawks vs Falcons clash will take on the loser of Melbourne Uni Lighting vs Geelong Cougars in a preliminary final on Sunday. The Hawks’ Division 1 team is confident it can channel the fighting spirit that took it to the top of the ladder earlier in the season when it takes on Selkirk Sovereigns in a knockout semi-final on Wednesday night. The back half of the year has see-sawed for the young Hawks outfit, with some big wins punctuated by some disappointing losses that saw the team finish the season in third place on the ladder. But there were great signs last week in the season’s final round, with the Hawks going down by six goals against ladder leaders Geelong Cougars but creating plenty of chances in a performance that coach AJ Ballantyne said was one they could build on. “We played about 15 minutes of great netball and the rest of the game was a bit of a scrap,” Ballantyne said. The Hawks split the points with Sovereigns in the regular season, chasing them down when the teams faced each other for the first time in Round 5, and winning 57-50. But it was a different story in the return clash, with Sovereigns bringing the Hawks undone 31-59 as the Hawks battled without four of the team’s regular players. Key to the Hawks’ chances in the semi-final will be trying to limit Sovereigns goal shooter Rebecca Scott, who had 44 goals in the Sovereigns big win in Round 13, while the Hawks will look to find speed in their attack end to open up opportunities for goalers Daisy Hill, Monique Lenehan-Moustafa and Bridgette Furphy. No Replies to "SEMI-FINAL PREVIEW: TWO TEAMS, ONE MISSION"